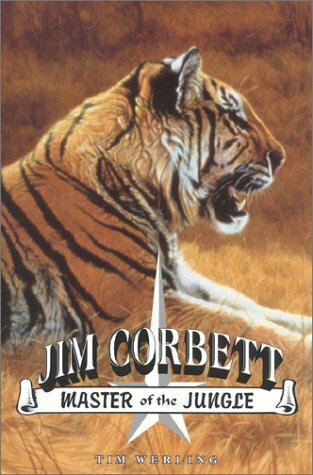 These are riveting, true-life tales of the legendary Jim Corbett and the man-eating tigers and leopards he tracked and killed in India in the early part of this century. These are the riveting tales of the legendary Jim Corbett and the man-eating tigers and leopards he tracked and killed in India in the early part of this century. Corbett, who was one of this century's greatest hunters and a noted naturalist, was a modest man; consequently, his books, while exciting, downplay the courage and resourcefulness that marked Corbett's hunting career as extraordinary. Tim Werling's account of Corbett's exploits is a page-turner. Werling has produced a hunting biography that is gripping in its intensity, and, with masterful writing, he places the reader inside the horror that marked a man-eater's reign of terror. You will be mesmerized by these tales of daring-do, as Corbett stalks the "Bachelor of Powalgarh," the tiger of Thak, and his first man-eater, the tiger of Champawat. In addition, Werling provides a background glimpse into Corbett's family life by giving an imaginative account of what Corbett's youth must have been like as well as an account of the events that led Corbett and his sister Maggie to make their irrevocable decision to leave India forever. A must-read for those who enjoyed Jim Corbett's memoirs or for anyone who thrills to exciting tales of adventure.